This easy muffin recipe allows you to make big bakery-style muffins that can be flavored any way you like. Make several batches of mix and bake all kinds of muffins. Homebaked muffins are hard to beat. Unless you add more sugar and call them cupcakes. Muffins are easily portable and have no need for utensils or even a plate in order to enjoy them. This Mix and Match Muffin recipe has endless possibilities. Talk about versatility! Mix up the dry ingredients and when you add the wet team, toss in whatever fruit, nuts, or flavorings you have on hand. We’ve tried vanilla blueberry and banana chocolate chip (above) with great success, just to name a few of our muffin combinations. Coconut Lime Chocolate Chip is a winner! You can even prepare the baking mix ahead of time. I usually make up three or four quart-size mason jars to fill with the dry ingredients. I mark on the jar the wet ingredients that should be added later. 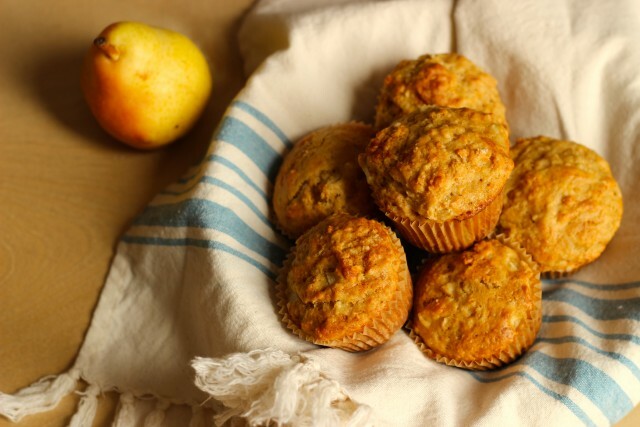 I stash these in the pantry or the freezer for longer shelf life and then can use them throughout the coming weeks to have quick and easy muffins for breakfast. I was inspired by this recipe in Fine Cooking, but have tweaked it to fit the schedule of a busy mom. Who has time to separate eggs when there’s so much to do on any given day? I’ve also healthified it by substituting plain yogurt for the sour cream and a little whole wheat flour for the white. A few things of note about this recipe. Originally, I baked these at 350, but lately I’ve been raising the heat to 375 or 400 and reducing the baking time a bit. I like the crunchier texture of the baked muffin this way. I’ve left the original baking directions, but feel free to experiment. Also, the cups do get VERY full. That’s okay. Just spray the top of the pan to make sure they don’t stick. If you want smaller muffins, go for it. Just reduce the baking time. 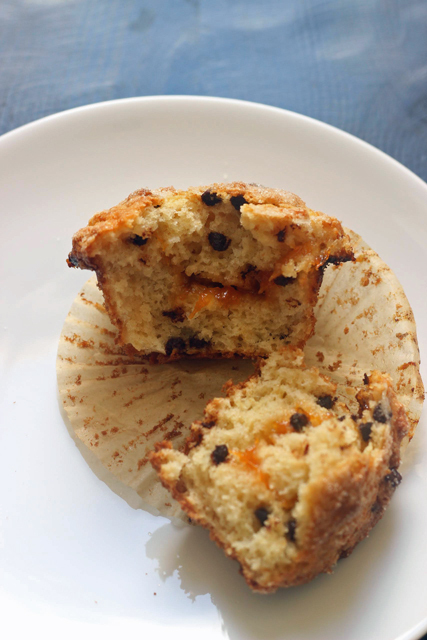 This easy muffin recipe allows you to make big bakery-style muffins to flavor any way you like. Make several batches of mix and bake all kinds of muffins. 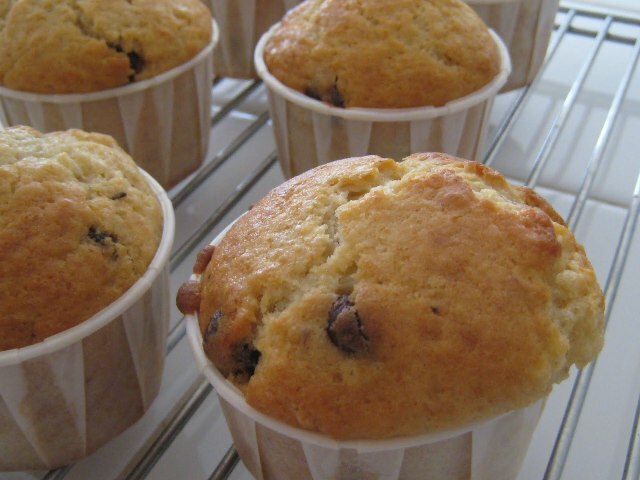 For 12 large muffins, fill muffin cups completely, even mounding past their tops. For 18 kid-size muffins, fill almost full. Bake 25 – 35 minutes, depending on how much you fill them. To make-ahead: prepare the dry team as a baking mix to use later. Alternatively, baked and cooled muffins can be stored in an ziptop freezer bag in the freezer. This recipe is great for freezer cooking but also makes a fantastic gift for someone. You are definitely gonna want to mix up several bags of the mix for later use once you taste how yummy these muffins are. Just place all the “dry team” ingredients in a quart-size ziptop freezer bag or jar and seal. Be sure to give them the directions! Alternatively, just fill a basket with baked muffins. You’ll be Friend of the Year whichever way you go. Is there anything you can think of that could replace the yogurt? 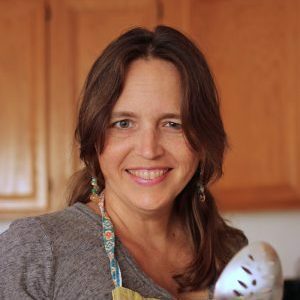 My husband is lactose intolerant… I can use Lactaid milk for the recipe but I don't know what to swap out the yogurt with. My granddaughter is allergic to milk protein in general… so would a soy based yogurt , like Silk brand, substitute accurately? I’ve never baked with soy yogurt, but I’d definitely give it a try and see! Thank you! I didn't know that. I made these the other day for my husband who won't eat breakfast unless it's easy to grab. We both like them but both compared them to cornbread. What is it that makes us think that? The whole wheat flour maybe because it's a little grainier? It could depend on the grind of whole wheat flour. I’m not sure; I haven’t had that happen. Try using WW pastry flour instead of regular WW flour. It’s a much finer grind. I use WW pastry flour for everything (often without any white flour) and my family doesn’t even notice. Same here. I keep WW pastry flour in the freezer just for that reason. Where do you get those muffin cups? I don’t care for muffins without cups because of the hardened texture… I’m wondering if they are cheaper than cupcake muffin cups too. Thanks! These are actually portion cups that my sister gave me. She promised me they were oven safe. But, I really have no idea. I’ve seen them in the party section of Walmart. Since the yogurt is probably for moisture mainly, I would just use 1 cup applesauce instead of the oil and yogurt. I have a very similar muffin recipe and that is how I do it. 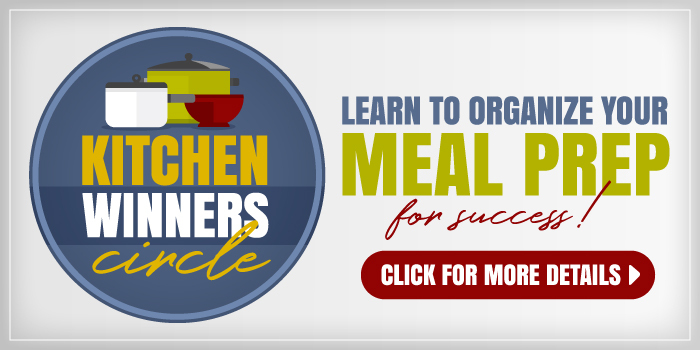 I used this recipe for blueberry muffins last night and they turned out very good! My batter was very thick though so I added a little more milk, and I had enough batter to do 18 large muffins. I used half succanat and half cane sugar and sour cream instead of the yogurt, but I think it would be really yummy with vanilla yogurt too! Thanks for the recipe! I know this is an old post, but…. where do you buy your muffin cups? I love those ones. Makes them look like muffins, not cupcakes! Can you email me on nzkylee@hotmail.com? Those are party cups, not really muffin cups. I’m not sure if you’re “supposed” to bake in them, but I did. I was wondering if you think it would be ok to use vanilla yogurt instead of plain?? This might seem like a silly question, but where did you get those gorgeous muffin cups. I have been looking EVERYWHERE for them and I can’t find them. They are actually party cups. I’m not sure you’re supposed to bake in them, but the house didn’t catch fire and no one grew a second head, so I think we’re good. I think they’re the kind you serve mints in at weddings. I’ve never been much of a baker, but this recipe looks really easy to make. I’ve been trying to figure out a way to use up all of those cupcake cups that I’ve had for so long! 🙂 And I know my family will thank you! Coming back to say that I made these muffins tonight and they were a huge success! I made it into a fun time with my kids. I filled the cups half way full, then let the kids put in some add-ins, then finished filling the cups. The kids had a blast (including my 3 year old niece) and enjoyed eating their creations. Oh, and my family says thanks! @Ginny, yeah! So glad you enjoyed them. My son has been asking for “vanilla muffins” and I think these might fit the bill. I also LOVE the instructions for making your own mix. That is exactly what I need! Is this the measurements for 1 batch? It is a large batch – It makes 2 dozen muffins. Hey! I know this post is old, but I had a question. If I wanted to make the mix ahead, but wanted to make a smaller batch (I don’t have enough muffin pans to make that big of a batch) what would the portion of the dry mix be? For example, if I wanted to make up the dry mix, and then make a dozen muffins, how much of the dry (all mixed together) would I take out? @Amy, I would just cut the proportions in half before you make the mix. That would be enough for a dozen muffins. My family is officially addicted to these muffins. They’re so easy and we love them. Thanks so much! That’s what I love to hear! Thank you. Thanks for the pin! These muffins are so versatile. Love that! I was hoping to add frozen blueberries, are there any adjustments I would need to make for the frozen berries? @Cathie, I’ve done that before. You might need to adjust the cooking time a little, but it works for me. I’m way late to the party but I tried these yesterday. OH MY GOSH THEY ARE SO GOOD!!! I’m a big muffin/quick bread person, mostly because I’ve really mastered what kinds of subsitutions and alterations I can make to a recipe. This one is fantastic! I used all whole wheat flour, because I always do, homemade yogurt that didn’t set up quite right in place of both yogurt and milk, and my add ins were blueberries, lemon zest, and almonds. Such a moist delicate texture. This one is a keeper! I just made my first batch. These where great, they mad 12 reg sized and 24 mini muffins. I wanted to see how the base recipe was before added anything. They came out of the oven nice and tender. I made these muffins yesterday I used blackberries and rasberries I had in the freezer. They are really good and very moist. I sent home a dozen with my daughter and she called me to tell me that they tasted like it came from the store and if I made it from scratch. “It taste good, just like the store”. I’m glad that “like the store” is a complement. LOL! So glad you enjoyed them. The only oil I have right now is peanut oil…is this ok? I have never done any baking with peanut oil, so I can’t answer that. I’d be more likely to use melted butter instead. ok just made these..used applesauce and coconut oil in place of yogurt and oil. I added cinnamon and chopped apple,walnuts and oats…..YUM!!!!!! I made 2 batches today. I made a pumpkin and chocolate chip muffins and I had some frozen cranberries in freezer so made cranberries with orange zest and 1 tablespoonful of vanilla. I only had flavored yogurt so I used Keffir instead. They are delicious and moist. @ray, flavored yogurt will work too, but good to know that kefir does as well. 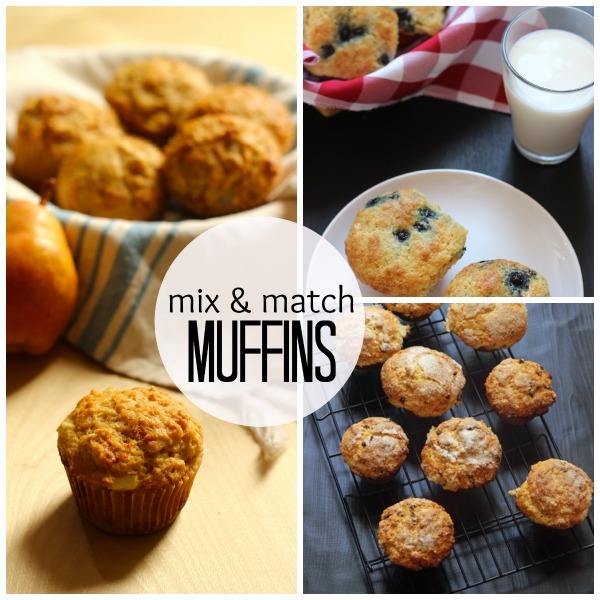 I love this recipe and have been making your mix and match muffins for the last 1 1/2 years. I’m now trying to be careful about my sugar intake and would love to replace the sugar with agave. Have you ever tried to and if so, did you have any success? I am going to be making some tweaks as well. I’ve done this with maple syrup, adjusting the other liquids to make sure it’s not too wet. I would imagine you can do the same with agave. Tonight to use up a couple of things from the pantry, I tried a new combination with your Mix & Match Muffin recipe. Mashed bananas and butterscotch morsels. I think they may be the kids’ favorite combination yet. I don’t usually buy butterscotch morsels, but I bought them for Christmas goodie baskets. Then after buying I realized they contained coconut oil which 2 different families couldn’t eat. The kids will happily eat them up in these muffins. Sounds yummy. Hubs is allergic to those chips, so I’ve never bought them. But, I’m hungry now. These were so good!! I freeze our overripe bananas so I just thawed them to add, also used vanilla yogurt. So moist and delish! It made 12 jumbo muffins for me (you really can mound way past the top) I love freezing muffins for a quick grab and go breakfast! Can you use bleached flour in this recipe instead of unbleached? I’m faitly sure all of mine is bleached, but I really want to try making these! Also, can you use shredded carrots, zuchinni, etc for the fruit in this recipe? Yes, you can use bleached flour. And yes, shredded veggies work as well as fruit for a mix-in. Thanks! I made these last week using strawberries, and they were GREAT!!! Can you freeze the muffins after they are baked? Has anyone tried this? How do you thaw and heat them up? Yes, I freeze leftovers all the time or bake a double batch. 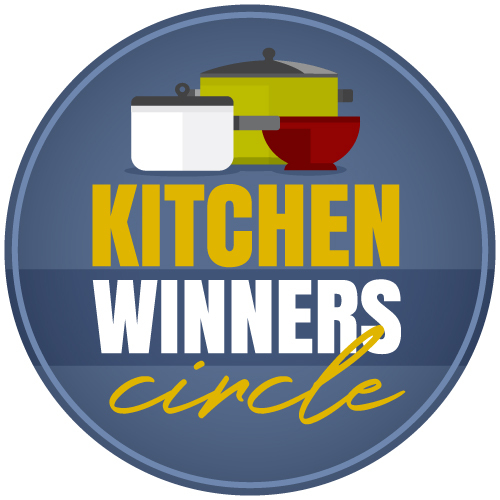 I usually thaw them overnight on the counter and they are great the next morning. You can warm them in a low oven for 5 minutes if you like or zap them in the microwave, but we usually have them at room temp. These muffins are delicious! Quick question: is there anyway to incorporate jam or jelly into this muffins? If so, how much? Thank you! Yes. I usually do a swirl through the middle, about 1 tablespoon per muffin in between scoops of batter. I just cant get it right. I followed the recipe to a tee!! Batter was extremely thick and heavy, but I didnt dilute it thinking that is the way it is supposed to be. I folded wet into dry just long enough to get it all wet. I set the timer 2 minutes short of suggested MINIMUM time. Muffins were done and SO DRY, I could not swallow them without a drink handy. The taste is great and would like to try again after we finish this double batch. What on earth do I do differently. I am using non stick pans….is that the culprit?? They do seem to bake differently than other pans?? Also, what were your mix-ins? In some I put 1/4 walnut, some 3 choc chips and some nothing….all dry. I sifted both flours than measured as always, not weighing. clarifying, sifted the flours separately and measured them separately. It is a thick batter, but not impossible to stir. What kind of flour are you using? I am completely stumped. The only other thing I can think (if you’re using all the ingredients as listed) is that your oven runs hot. I had one that did that. It was 25 degrees hotter than the temp it said it was. Thank you, I will have a guy out to check that this next week. One last ?? when I make this again, is it supposed to be so heavy I can hardly turn it over in the bowl? It was a double batch. If not, should I just add more milk/water? I’ve made these 3 times now and have 3 bags of dry mix in my fridge – they are great! I substituted a gluten free flour blend for the flours and cut the sugar to 3/4c. Blueberry with almond extract and banana chocolate chip were great. I think I undercooked the blueberry with lemon extract because I didn’t defrost my blueberries and didn’t see your comment about increasing cooking time with frozen until just now. I make a combo of mini muffins (easier for the kids) and big ones. I just wanted to let everyone know, they turn out well gluten free too. Thanks for the great, versatile recipe! So glad to hear it! I have some in the oven right now. I’ve found I like them better cooked at a slightly higher temp nowadays. 375-ish. I love your recipe! I’m commenting today to say thank you!! Thank you to the poster that made them gluten free. My daughter is gf and I am not. I make muffins every week for her and regular ones for us. I’m always making two different recipes. Its so nice to be able to make them the same but with a gf mix and a regular mix. I want to try them with lemon yogurt and blueberries or chia seeds which are ones we love. I added peaches, cinnamon, fresh nutmeg, almond extract. Amazing! I’ve been using your recipe for a while, either as a single batch at a time option or for a big muffin making to store in the freezer day option. I would like to mix up several batches of the dry ingredients to have on hand for quick and easy muffin mornings, but I don’t see how much dry mix to use at a time. I’m guessing three and a half cups is close, but thought I’d ask anyway. I would suggest simply making half batches when you measure out the dry ingredients. The wet ingredients divide pretty easily, just remember to mark on the container how much to add. I love love love these! I’ve been making them for about 4 years now and I am still finding new ways to experiment!! My oldest took a bunch to college as a welcome gift to her floor and the girls devoured them! Now if one sees me they are all looking for muffins!! Im trying to use up some bargain trix yogurts we bought, kids hated them, now we have about 30 4oz.containers. They seem to be the perfect amount needed for this recipe. I think I’ll freeze these cups and continue to use them up when making these muffins. Even though the flavor is strawberry-banana, you can’t taste it. It goes to show you something is only a bargain, if kids actually eat it. It was 50 containers for $5 from our local restaurant supplier- who was overstocked. Usually the kids eat yoplait or greek yogurt, but we got overly excited about the price. Thanks for the recipe! I’ve made 3 batches, including one batch subing with gluten-free flour and using coconut oil. I also subbed the wheat flour with almond flour- its what I had on-hand. We make these a lot during the summer months. We have kids (ours, their friends and neighborhood siblings) in and out of the house all week. I bake them up in mini muffin pans. I have found the recipe makes about 56 mini muffins or just short of 5-dozen. Served with a glass of cold milk, these make sweet, inexpensive, refreshing snacks the kids all enjoy. Today I made a batch with semi-sweet chocolate chips; a second batch with diced fresh strawberries; and a third batch with a combination of 1 ½ cups diced fresh strawberries and a ½ cup semi-sweet chocolate chips. The kids liked the combo muffins the best. Strawberries were on sale and I had a coupon making them just 66 cents per pound! So glad you’re enjoying the recipe. The chocolate strawberry sounds delicious! Made some dry mix packs including some 1/2C yogurt packs, put them in my freezer. We love adding chocolate chips! I plan to take a couple packs to our weekend gathering- one set with bananas and the other with chocolate chips. Planning to make these tonight. To those who add oats, how much do you and and do you need to reduce the flour? I love this recipe! Do you think I could sub another liquid for the milk? For example, juice or whey from making yogurt? yep. i think whey would be great or buttermilk. Not sure about juice, but I’ve used tea before. Try it and let me know? I was wondering if you could put cocoa powder in these. If you could, how much would you put in? If I don’t have whole wheat flour can I just use 4 cups regular flour? I tried these once and the batter was very gummy. I’d like to try again but wanted to check about the flour first. thanks! Yes, that should be fine. Batter shouldn’t be gummy. In fact, it’s usually on the dry side. Make sure you use a liquid measuring cup for the liquids. And it’s best to weigh the flour if you have a kitchen scale. (4.5 ounces per cup) Here’s to better results this time! I know you said you swapped out the sour cream in the original recipe for yogurt. What happens if I use sour cream in this recipe? I will have sour cream on hand more often than I will have yogurt. It’s a perfect swap. Will be nice and rich!